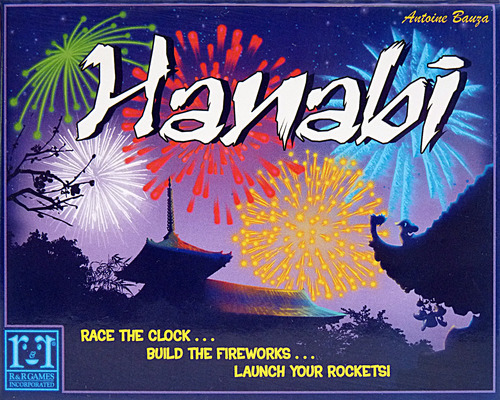 Hanabi is a cooperative limited communication card game that is all about fixing a fireworks display before it goes kaboom! During the game, you and your friends will work cooperatively to put all of the fireworks back together. This may seem like an easy job, but the twist of the game is that you aren’t able to see what cards you have in your hand. 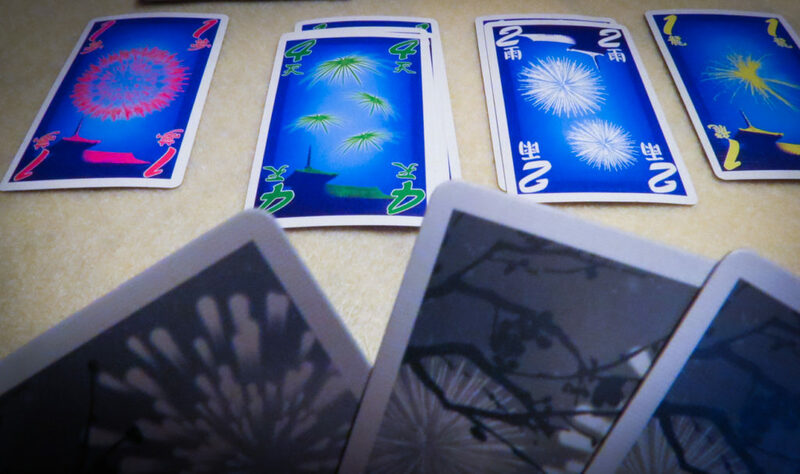 Hanabi may seem like just another little card game, but it’s received a number of awards. It actually won the Spiel des Jahres as the game of the year back in 2013. It is very easy to learn how to play Hanabi, but it is a very hard game to master. Your goal is to lay down five sets of fireworks/colors in ascending order (1-5) to get as high a score as you can. It is a game that you can teach in about five minutes by just going through each of the steps listed below. The main rule to follow in Hanabi is don’t look at your cards! Each player will get four or five cards depending on the group’s size, and they will turn the cards to face the other player(s). give another player some information about their hand. or play a card to the middle of the table. When you are giving another player information, you can only tell them about either a number or a color. For example, you could point to two cards that are threes and say, “These two are threes.” That player can then rearrange their hand to attempt to remember what those two cards are. Whenever you give a clue, you must remove a clock token from the table. When you discard a card, you will be able to regain one of the clock tokens from the box. Discarding is a way to get better cards into your hand, but it’s also risky because you could lose a valuable card. Remember that there are five colors that are numbered 1-5. When playing a card, you have to have the next number in sequential order for whatever color you lay down. If you guess wrong, then that card is discarded and one of the three fuse tokens is lost forever. Ideally, you want to get enough information to be sure that you are laying down the right cards. Of course, sometimes you just have to guess. There is no “losing” in Hanabi, but you want to get the highest score that you can. The game will end if you lose the last fuse token, the draw pile runs out, or if you are able to make all five fireworks. One of the best things about Hanabi is that strategies will differ from group to group; that is pretty much always means you have a good game on your table. Some people will attempt to turn each of their cards to try to remember what they are, while others will simply try to keep them in numeric and color order. Clue-giving also takes good teamwork because you usually have very little information to give. It feels great, though, when you know you are giving your teammates some really useful info. One of the reasons why Hanabi has sold so well is because it is easy to teach despite being a new type of co-op game. The four variants included in the rule book are a great addition to the game. You’ll eventually figure out a strategy that can get you high scores in the standard game, but it gets A LOT tougher once you add in one or more of the variants. It is an excellent challenge that takes the tension to another level. Hanabi is super portable. It’s a pretty small set of cards and some tokens, so it’s an excellent game to take with you on vacation. One thing that we should warn you about is that Hanabi can be really frustrating, especially for new players. A lot of people have a tough time with memory and deduction games, so it’s important that everyone is patient early on. Possibly the only people who shouldn’t get Hanabi are the ones who need theme in all of their games. There really is no theme in this game. Yes, it is a “fireworks card game,” but in reality you are just trying to help each other lay down the right cards. It should also be pointed out that while there is plenty of cooperation in Hanabi, there is very little table talk (if you’re following the rules). That shouldn’t be an issue for most people, but it can take some getting used to. We highly recommend Hanabi for the reasons we noted above and because of the fact that there really are no other games like it. It is one of the best family games around and it is easily one of the best limited communication games, and it’s also a great choice for adult gaming groups. There is a lot more game in this little box than there is in many board games that cost four or five times as much. Thanks for taking the time to read our Hanabi card game review! Seriously, I’ve only met one person who didn’t enjoy this game. And that was only because she had a tough time figuring out which cards she had in her hand.